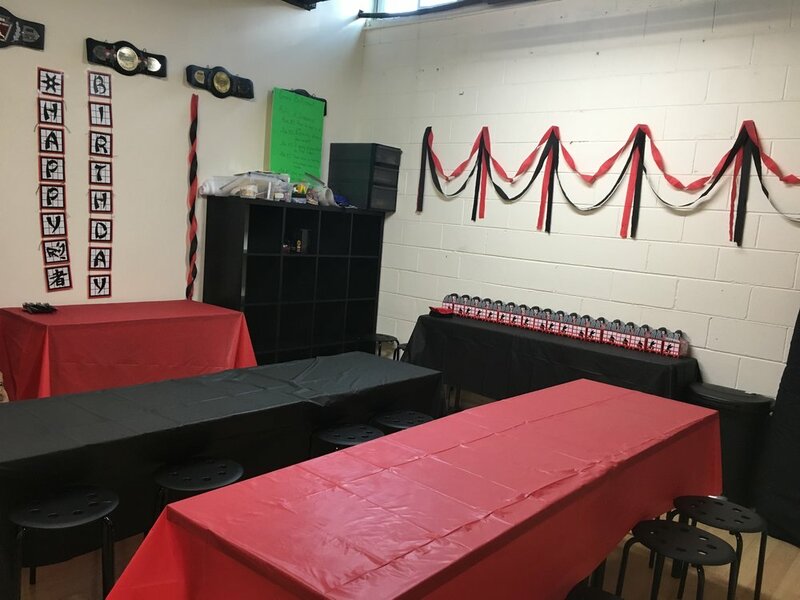 Founded in 2008, the Fifty/50 Martial Arts Academy is the premier Mixed Martial Arts facility in the state of Virginia and is headed by world-renowned competitor and instructor, Ryan Hall. The Academy was formed with the intention of providing Falls Church, Virginia and the Washington, DC area with a progressive, top-level training ground for students of Brazilian Jiu-Jitsu, Kickboxing and Mixed Martial Arts that can enrich the lives of people from all walks of life. At Fifty/50, we train with the best and compete on the world level, constantly pushing ourselves to learn and grow physically, mentally, and technically as we stay on the cutting edge of our sport. The Top Competitors: Boasting a Competition Team that consists of regional, national, Pan American, and World Jiu-Jitsu champions, professional mixed martial arts fighters, as well as one of only a handful of American-born medalists from the ultra-prestigious Abu Dhabi Submission Fighting World Championship (ADCC) and a UFC featherweight, you know that you will be working alongside some of the best training partners that one could ask for. Add in the veritable “Who’s Who” of top-level Brazilian Jiu-Jitsu black belts and UFC athletes visiting the Academy to train, teach, and learn on a regular basis and you have a truly unique environment. With a BJJ program personally designed by Ryan Hall and implemented by the expert staff at the Fifty/50 Martial Arts Academy, Fifty/50 has shown time and again that it is an accelerated learning environment that is specifically structured to help students reach their full potential. Fifty/50 is proud to be the only academy in the DMV area with 4 full-time International Level Black Belt Instructors. Ryan’s ability as a martial arts instructor has led to 9 best-selling instructional DVD series on a variety of his signature techniques [click here to order] and worldwide interest in seminar instruction. Always working diligently to develop himself and continue honing his skills, Ryan can often be found traveling the world to train and expand his knowledge base. Upstate Karate in Simpsonville, South Carolina and the world-renowned Tristar Gym in Montreal are favorite stop-overs as he continues learning and prepares for upcoming professional bouts. In 2017, Fifty/50 added NCAA Division I All-American David Terao (American University) and The Ultimate Fighter Season 22 Veteran Thanh Le to the full-time teaching staff, opening striking and wrestling programs and significantly expanding the training opportunities available to our students. Our giant mat room boasts approximately 4,000 square feet of premium grade Zebra mats, which allows for up to two classes to be taught at once, and plenty of room for everyone to train. Our mats and academy are cleaned and vacuumed twice daily to ensure the utmost hygiene is practiced, as well as deep cleaned throughout the entire facility by a professional team weekly. In order to accommodate our students, Fifty/50’s lobby provides a relaxing area to take a load off, enjoy a snack, or browse the academy pro shop. The lobby has three flat screen televisions that display every angle of the mat room, incase you are interested in what is going on training-wise. The academy has a men’s and a women’s full service locker room with changing areas and storage, bathroom stalls, and showers. In addition to the aforementioned, Fifty/50 has a classroom area that we use for the children and their parents, to engage in activities such as arts and crafts, puzzles, games, etc while classes are conducted. Our goal is to provide a comfortable and inclusive space that covers the needs of our wide range of clientele.